Sorry been sharing my finished photobooks so slow here. Actually, I have already over 40 photobooks that I have printed from Artscow and I will share them form time to time. 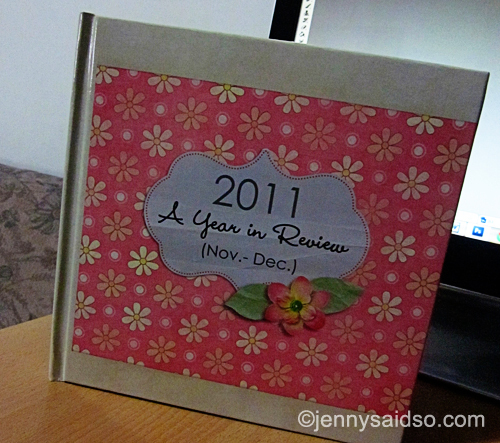 Anyway, this is the 4th book of my A Year in Review photobook series for the year 2011 and soon I will share my 2012 A Year in Review that I made. As usual I have printed it over at Artscow.com for I got another free photbook coupon, I only paid for the shipping which is only minimal, if I can guess it right it was only $10.99. 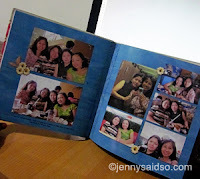 It's already a great deal because where else can you get an 8x8 20 pages photobook for free! Just in case you are not a member of artscow yet, SIGN UP at ARTSCOW to get good deals on personalized items such as photobooks, umbrellas, cushions and more.